Physical parameters like Pressure, temperature, humidity and more are just the subjective evaluation. If you want to know what is warmer, or how much it’s warm, how much pressure the entity contains or you wish to gather the information about humidity, then a capable pressure, temperature & humidity monitoring system can be of a prodigious worth. 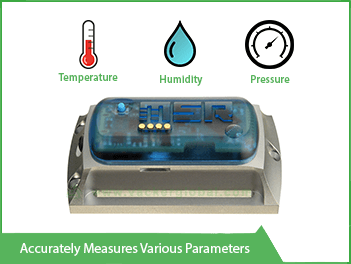 This is a combined system for pressure, temperature & humidity monitoring. For the purpose of quantifying the temperature, humidity & pressure values, there is a requirement of a suitable measuring device. What really is a pressure, temperature & humidity (PHT) monitoring system? In simpler words, it can be said that a monitoring system can be that automated device that can help you with recording simultaneous & continuous one or more physical environmental parameters like Pressure, temperature, and humidity at a single of predefined points. Today, with the advancement of technology, there is the trend of digital fusion. You can leverage the capabilities of digital fused sensors that provide an unprecedented access to the physical measurement for entities like pressure, temperature, and humidity also termed as PTH. The monitoring system when blended would be perfect for the purpose of getting high PTH accuracy and low-power consumption. You can obtain high-pressure resolution property fused with a high linearity of PHT sensor. 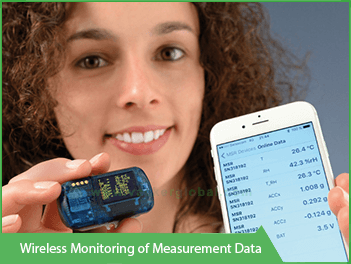 This type of pressure, temperature, and humidity monitoring system can be your best pick for environmental monitoring as well as deploying as an altimeter in the smartphone as well as other smart devices. HVAC systems, weather stations and much more can also leverage the potential of a pressure, temperature & humidity (PHT) monitoring system. With the development of the foremost MEMS technologies, the pressure, temperature & humidity (PHT) monitoring systems are also getting benefitted from measurement specialty proved experience. How does Pressure, temperature & humidity system work? Going by the definition, a pressure sensor also called pressure transducer, is a device which is capable of converting physical quantities like pressure into the electric signal form. When it comes to the types of pressure sensors, there are many, the most preferred one is called strain-gage base pressure transducer. The principle involves measurement of pressure and then conversion of the same into an electrical signal, the same is achieved by the concept called physical deformation. The strain-gages, when blended with the diaphragm of the pressure sensor & a circuit of Wheatstone bridge respectively, are subjected to physical deformation. The applied pressure on the pressure transmitter or pressure sensor results in a deflection, the strain gets introduced by the deflected diaphragm. This, in turn, results in a change of electrical resistance which is also proportional to resistance. The PTH monitoring system can alert you in seconds. Why do we need a proficient temperature monitoring system? Talking about Temperature sensors, the small-sized devices are of great worth. The device can be deployed in industries like medical devices, chemicals, food processing, HVAC, automotive etc. with added ease. When it comes to hood monitoring, a temperature sensor can be your best pick. The device works by measuring the heating effect for the purpose of making sure that the value obtained is under the safe range or is meeting the certain condition of the user. Dealing with extreme heat applications have become easy with the aid of temperature sensors. Talking about features of a proficient pressure, temperature & humidity (PHT) monitoring system, the device must ensure an integrated pressure, temperature, and humidity measuring functionality. The dimensions of the final monitoring system product must be compact. Operating range for various physical entities can be around 10 to 2k mbar for pressure sensors, -40 degrees Celsius to 200 degrees Celsius for temperature Celsius for temperature sensors & 0% relative humidity to 100% Relative humidity for humidity calculation sensors. The combined supply voltage of the pressure, temperature & humidity (PHT) monitoring system can be anywhere from 1.5v to 3.6v. The sensor must be fully factory calibrated one. Classifying temperature sensor types includes different entities like Thermocouple, thermistors and much more. A thermocouple equipped temperature sensor works by measuring their own temperatures, there are mainly 2 junctions. One is for reference and other is where the temperature of some liquid is measured. The difference in temperatures amidst the two junctions produces a voltage, the temperature dependent voltage is then converted to a temperature reading. The thermocouple provides rapid readings to the user, thus, pressure monitoring systems featuring thermocouples are a preferred choice for industries. The efficiency and temperature range of temperature sensors are diverse, they can measure from as low as -250 degrees Celsius to 3000 degrees Celsius. Another type of temperature sensor is based on thermistors, just like thermocouples, these are easy to deploy. When it comes to taking simple temperature readings, thermistors are deployed. They comprise of a semiconductor substance with a resistant factor highly sensitive to the change in temperature. Both parameters, i.e. resistance & temperatures vary inversely. 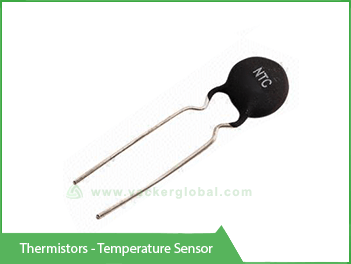 The resistance of thermistor increases with a decrease in temperature and vice-versa. The change in resistance is highly predictable whenever there is a change in the values of temperature. For applications, thermistors are used widely in self-resetting overcurrent protectors, in-rush current limiters, self-regulating heating elements and temperature sensors as well. Why measure relative humidity with accuracy? The third physical factor that plays a vital role is moisture. For industries, measuring and maintaining the perfect moisture levels can be of utmost importance. Whenever it rains, we can say the aid gets moist. The suspended water in the air increase and this leads to humidity. Have you ever wondered when you press a certain button on your AC remote, why moisture gets picked up and vanished by your AC? Humidity sensors are capable of sensing, measuring and transmitting data related to both air temperature as well as moisture of the same. Relative humidity is the ratio of moisture in present time to the maximum amount of moisture at some certain temperature. Humidity sensor works by making use of alterations in the temperature or electrical currents in the air respectively. When it comes to humidity sensors, there are basically three types of these. The resistive, thermal and capacitive humidity sensors are always available at your disposal. Talking about heavy applications of humidity sensors, these can be used in homes, offices, heating industries, ventilation & air-conditioning segment, HVAC systems as well. You might also deploy them in public places, industrial spaces and much more. For the purpose of calculating the minutest of change in atmospheric humidity, the above-mentioned type of humidity sensors leverages their potential. Resistive humidity sensor makes use of ions which are present in salts, this is done to measure the electrical impedance value of air atoms. Whenever there is any change in the humidity value, the resistance of the electrodes on any side of the salt medium experience a change. The thermal humidity monitoring apparatus leverages the concept of electrical conductivity, the thermal-based humidity sensors conduct electricity, which is proportional to the humidity present in the surrounding air. One sensor is encapsulated in ambient air, on the other hand, another sensor is compressed in dry nitrogen. At last, capacitive humidity sensor, these type of sensor measures the value of relative humidity. The process is achieved by stuffing a strip of metal oxide amongst the 2 electrodes present. What comes as a great fact is that, with a change in the relative humidity, there is a change in the capacitance value of the sensor. These type of humidity sensors are best suited for commercial as well as for the industrial use. The capacitive type pressure sensors are linear in nature; they can measure the humidity values from as low as 0% to 100%. A complex circuit and steady calibration are behind the added efficiency of capacitive type humidity monitoring sensors. Every sensor has its own linearity capability, the deviation of voltage from the BFSL value as well as the calculated output voltage can be converted to relative humidity. Every pressure sensor has a calibration curve, evaluating the sensor on this can be of great worth. Response time is the time taken by the desired sensor to fall as low as 33% or to rise to 66% of the maximum output voltage. 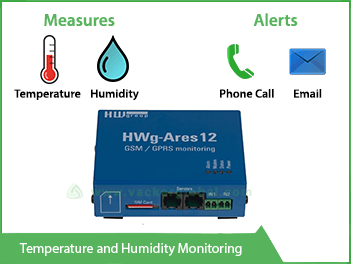 CUP pressure, temperature & humidity (PHT) monitoring system, the product comes handy when it comes to generous specifications, with a measuring air velocity of 0.9 m/s to 35 m/s, the monitoring system can measure humidity from as low as 0% to as high as 100%. The barometer reading stands at 10 hPa to a maximum of 1100 hPa respectively. The operational temperature ranges for the CUP pressure, temperature & humidity (PHT) monitoring system stands at 0 degree Celsius to 50 degrees Celsius. The all-in-one pressure, temperature & humidity (PHT) monitoring system features a hand-held compact design to the users. What comes as a great fact is that PTH monitoring systems like these can on a battery of 1.5x4 volts. Display pressure, temperature & humidity (PHT) monitoring systems are also available in the markets around the world, these type of sensors features an RS-232 interface to the user. Temperature measurement is what these type of pressure, temperature & humidity (PHT) monitoring systems are great at. For type K thermometer, the pressure compatible range is minus 50 degrees Celsius to 1300 degrees Celsius. While the type J thermometer, the range varies from -50 degrees Celsius to 1100 degrees Celsius. Type K/J type of pressure, temperature & humidity (PHT) monitoring system features a humidity calculation range of 10% to 95% for relative humidity. There is an array of touch-enabled display pressure, temperature & humidity (PHT) monitoring systems. The CIC-touch display type of PTH monitoring systems can be your best pick for monitoring climatic parameters in rooms or offices. Specifically designed for clean walls, the monitoring systems can provide you with most viable of the interface and physical climatic parameter calculations. These type of PTH Monitoring system comes handy with services like transfer over internet etc. Hospitals: Pharmacies, labs, hospitals, blood banks etc. can leverage the potential of the pressure, temperature & humidity monitoring systems for the purpose of keeping physical parameters in control. Storage facilities: An array of storage facilities can use pressure, temperature & humidity monitoring systems, you can keep the stored objects safe and secured by using the same. Mechanical durability: When it comes to ensuring the mechanical durability of a diverse range of mechanical machines, windings & bearings, inculcating a pressure, temperature & humidity monitoring system can be your best pick. Stay informed with the data of the parameters inside the metal casing, some machines are prone to humidity and temperature, ensure a longer usability. Dew or Frost Point measurement: PTH monitoring system comes handy when it comes to measuring the Dewpoint. A Dew point is that temperature at which a gas condenses back to liquid water. To avoid this menace in industries, pressure, temperature & humidity monitoring systems can be deployed for added security. Energy conservation: Accurate pressure, temperature and humidity measurements are required in industries, energy consumption accounts for associated costs. Weather stations require an array of pressure, temperature & humidity monitoring systems, energy conservation can be attained with the same. For other parameters such as Ocean research, water pollution devices, atmospheric study, pressure, temperature & humidity monitoring systems can be your best pick. Physical factors like Pressure, temperature and humidity play a significant role when it comes to industries, our homes/offices and much more, measuring these can aid important applications. Using pressure, temperature & humidity monitoring systems can be an out of the box way to conserve energy and obtain reliable & steady readings.